The U.S. Food and Drug Administration, along with the Centers for Disease Control and Prevention and state authorities, continues to investigate a multistate outbreak of E. coli O157:H7 infections associated with consumption of romaine lettuce in the U.S.
As of Nov. 26, 2018, this outbreak has resulted in 43 people becoming ill in 12 states, with the last reported illness onset date being Oct. 31, 2018. An additional 22 people in Canada have become ill, and the FDA and our partners are also coordinating the investigation with Canadian health and food safety authorities. To prevent additional cases of E. coli O157:H7, on Nov. 20, 2018 the CDC advised the public not to consume romaine lettuce and to destroy any romaine lettuce in their homes. At the same time, the FDA requested that all romaine lettuce on the market, including in restaurants and other commercial establishments, should be withdrawn and destroyed. The FDA made this request because initial information available at that time had not identified a likely source for the outbreak that would allow a targeted request, it was likely romaine lettuce contaminated with E. coli O157:H7 that could cause illness was still available on the market, and a market withdrawal was the fastest way to remove potentially contaminated product. The romaine lettuce industry agreed to comply with the FDA’s request to withdraw any romaine lettuce on the market on that date, and available information suggests this action was effective in removing potentially contaminated romaine lettuce from retail establishments. Our investigation at this point suggests that romaine lettuce associated with the outbreak comes from areas of California that grow romaine lettuce over the summer months, and that the outbreak appears to be related to “end of season” romaine lettuce harvested from these areas. Through laboratory studies we have identified that the E. coli O157:H7 strain causing the outbreak is similar to one that produced an outbreak of E. coli O157:H7 in the fall of 2017 that also occurred in the U.S. and Canada, which was associated with consumption of leafy greens in the U.S. and specifically romaine lettuce in Canada. Based on further discussions with the leafy greens industry and with agricultural authorities, we have begun to narrow the location in which we believe the contaminated romaine in the current outbreak was grown. At the time of the outbreak, the vast majority of the romaine on the market was being grown in the Central Coast region of California. Since, then harvesting of romaine lettuce from this region has ended for the year. Growing and harvesting of romaine lettuce is now shifting to the winter growing regions of the U.S., which include mainly the California desert region of the Imperial Valley, the desert region of Arizona in and around Yuma, and Florida. Romaine lettuce grown in Mexico is exported to the U.S. during the winter months. Smaller quantities of romaine lettuce are grown in other states. At this time, the FDA has no information to suggest any of these growing areas are involved in the current outbreak, which began well before any romaine lettuce from these winter growing locations was available for harvest. In addition, hydroponic romaine lettuce and romaine lettuce grown in green-houses is also marketed in the U.S., but there is no information to suggest these products are implicated in any identified E. coli O157:H7 outbreak. Knowing the growing origin of produce will continue to play an important role in allowing consumers to avoid contaminated products and facilitating market withdrawals and tracebacks. That’s why we previously called on the romaine lettuce industry to provide unambiguous and clear information to consumers regarding where their lettuce was grown and when it was harvested. To this end, the FDA recently participated in discussions with the major producers and distributors of romaine lettuce in the U.S. and with the major trade associations representing the produce industry regarding product labeling and dating to assure consumers that any romaine lettuce that will come onto the market is not associated with the current outbreak of E. coli O157:H7. The labeling will identify the origin of the romaine based on harvest region, along with the date of harvest. This can improve the ability of the FDA to provide more targeted information to consumers in the event of a future outbreak of illness. The FDA also has commitments from the romaine lettuce industry that such labeling will continue into the future and become the standard for their products. In addition, the leafy greens industry has agreed to establish a task force to find solutions for long term labeling of romaine lettuce and other leafy greens for helping to identify products and to put in place standards for traceability of product. 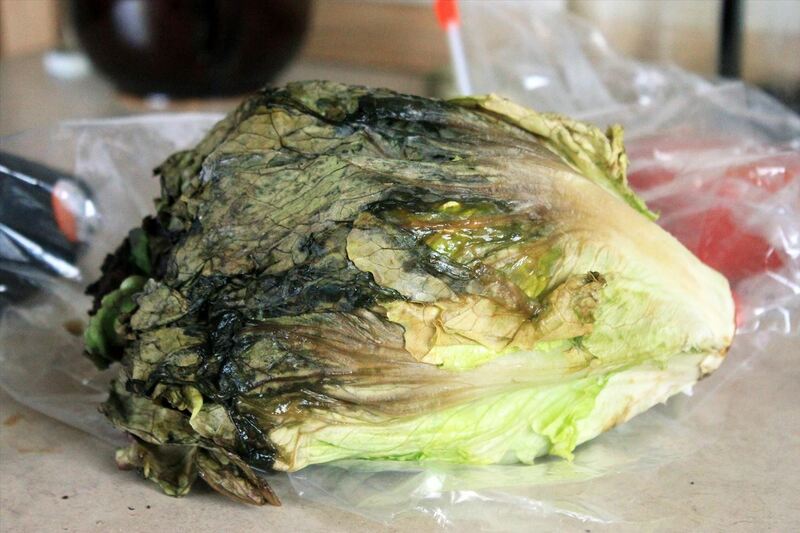 The task force will also examine information from this outbreak to identify measures that led to its occurrence and how to prevent ongoing safety problems with romaine lettuce. One outcome could be to extend the commitment for labeling for origin and date of harvest to other leafy greens. Romaine lettuce that was harvested outside of the Central Coast growing regions of northern and central California does not appear to be related to the current outbreak. Hydroponically- and greenhouse-grown romaine also does not appear to be related to the current outbreak. There is no recommendation for consumers or retailers to avoid using romaine harvested from these sources. We remain committed to identifying ways to decrease the incidence and impact of foodborne illness outbreaks, and will continue to provide updates on our investigation and changes to our advice on romaine lettuce as more information becomes available.